with a flame emission spectroscope. indicum, for the Indian dye. 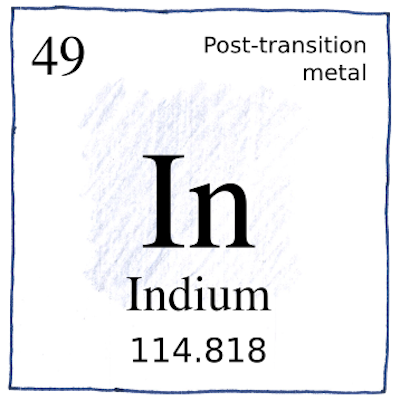 Indium has a low melting point. Indium tin oxide is in LCD screens. and would not play again. Isaac Newton identified indigo as the color between blue and violet, one of the seven colors in the spectrum and related to the seven notes of the major scale.